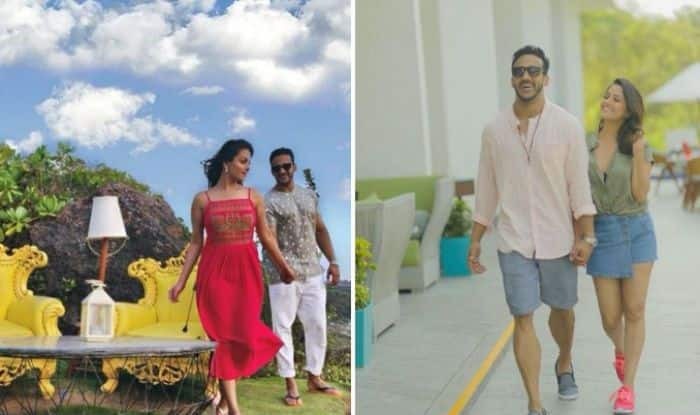 Television actress Anita Hassanandani, who is winning hearts with her stint in Naagin 3 is currently vacationing in Goa with her husband Rohit Reddy. The couple took to their Instagram to share the beautiful photos from their holiday and it speaks volume of their couple goals. Anita flaunting her sartorial choices and fashion statement in western casual wear looks hot as she chills by the beach and Rohit is also seen donning casual attire as they visit cafes and the beach locations in Goa. Both the stars look drop-dead gorgeous as they walk the picturesque location in trendy outfits. On the work front, she is currently being featured in Naagin 3 and Yeh Hai Mohabattein.